Dr. Jian-Gang (Jimmy) Zhu, an IEEE Fellow, is the Director at the Data Storage Systems Center and a full Professor in the Department of Electrical and Computer Engineering at Carnegie Mellon University. He holds the endowed chair of ABB Professor in the College of Engineering. He holds a courtesy appointment as a Professor in the Department of Material Science and Engineering and a courtesy appointment as a Professor in the Department of Physics. 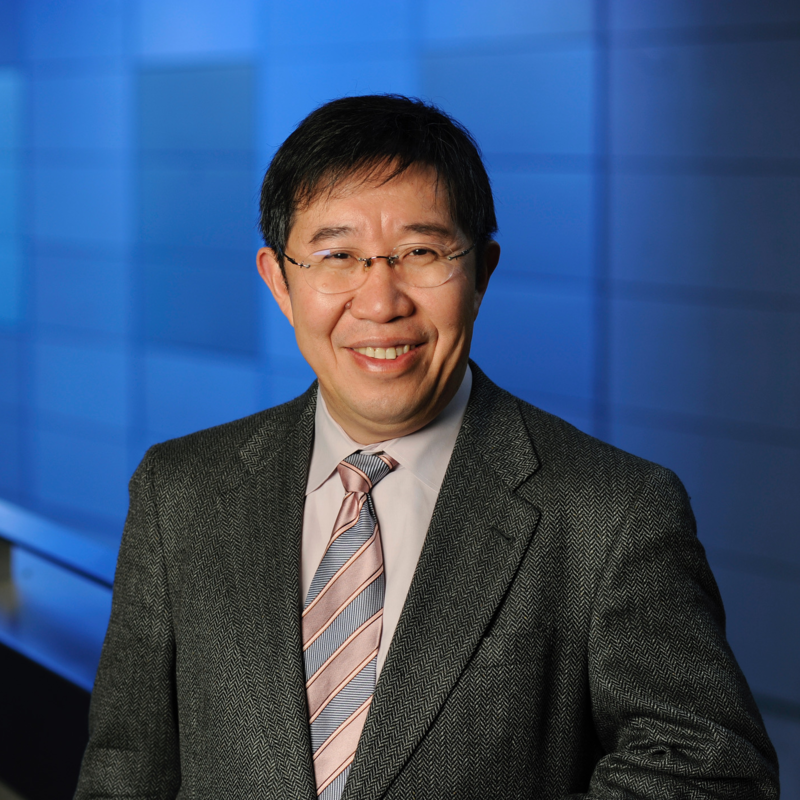 He also holds the Cheung Kong Chair Professorship in Huazhong University of Science and Technology, China. He received his B.S. degree in Physics from Huazhong University of Science and Technology in China in 1982, M.S. degree and Ph.D. degrees, both in Physics, from the University of California at San Diego in 1983 and 1989, respectively. He was a faculty member as an assistant professor and later associate professor in the Department of Electrical Engineering at University of Minnesota from 1990 to 1996 prior coming to Carnegie Mellon where He became a full professor in 1998. Dr. Zhu’s research has been in the field of magnetic data storage technologies. His research work on the microstructure of thin film recording media has been pivotal for hard disk drives to reach today’s storage capacity. He has pioneered the research on utilizing micromagnetic modeling for MRAM memory design and established some of the most fundamental design principles used today. He has either authored or co-authored 250+ major technical journal papers. He has written six book chapters and has given over 60 invited papers at various major international conferences. He holds twelve U.S. patents. In his academic profession, Professor Zhu has graduated 30 Ph.D. students and many more M.S. students, either in Electrical Engineering, Physics, or Material Science. Dr. Zhu is a recipient of the 1993 National Science Foundation Presidential Young Investigator Award. He received the McKnight Land Grant Professorship from the University Minnesota Board of Regents in 1993. As a co-inventor of the CPP/GMR read sensor patent, he received the 1996 R&D100 Award. He was IEEE Distinguished Lecturer in 2004. Dr. Zhu had been on the Advisory Editorial Board for the Journal of Magnetism and Magnetic Materials, North-Holland, Elsevier from 1998 to 2008. The research is supported by DSSC and its industrial sponsors. MRAM has the potential to replace SRAM, DRAM, FLASH, and even a small disk drive to be the universal memory for computer data storage, enabling an entire computer system to be made on a single chip. Our research focuses on novel MRAM designs that offer robust and repeatable magnetic switching characteristic, low operation power capability, and sufficient thermal-magnetic stability. Micromagnetic modeling on computers is utilized to aid the design process and the devices are fabricated using the state-of-the-art e-beam and optical lithographic fabrication technology. Our collaborators include the Naval Research Laboratory and Nonvolatile Electronics Corporation. This research is current funded by the Office of Naval Research, Pittsburgh Digital Green House, STMicroelectronics, and DSSC. Thermally excited magnetization precession and spin current induced chaotic spin waves are two important causes of magnetic noise in advanced nano-scale magnetic sensors. We perform both theoretical analysis and experimental measurements to obtain a good understanding of the noise and the corresponding underlying physics. This research is supported by Seagate Technology and DSSC. Jian-Gang (Jimmy) Zhu recently commented for IEEE Spectrum on the future of magnetic storage. For years companies have been projecting that heat-assisted magnetic recording (HAMR) would allow data centers to achieve new hard disk drive (HDD) storage capabilities. However, progress in density growth (bits of storage per square inch) has slowed recently, dropping this year below 10%, and the high temperatures required by HAMR present major challenges in implementation of the technology.